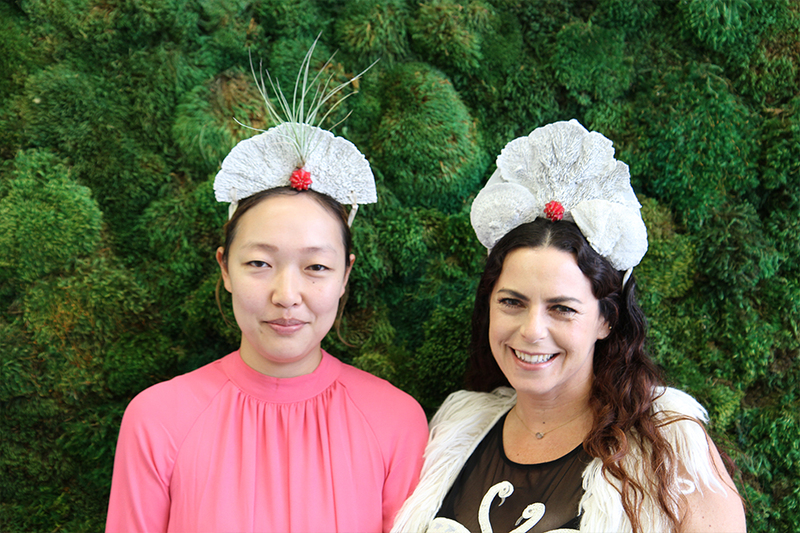 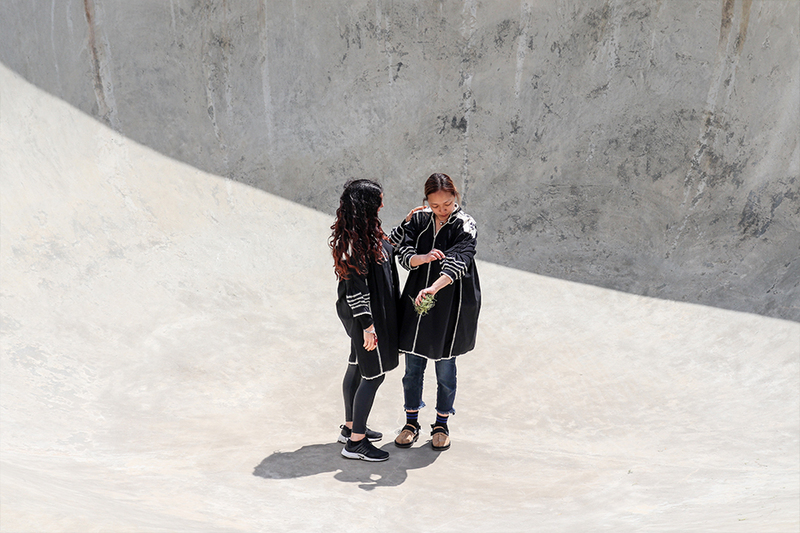 SONGHE KIM AND PALOMA BEGAN COLLABORATING IN 2017, COMMUNICATING WITH EACH OTHER BY CORRESPONDING TO ACCUMULATING OBJECTS OF DESIRE FROM JAPAN AND UNITED STATES. 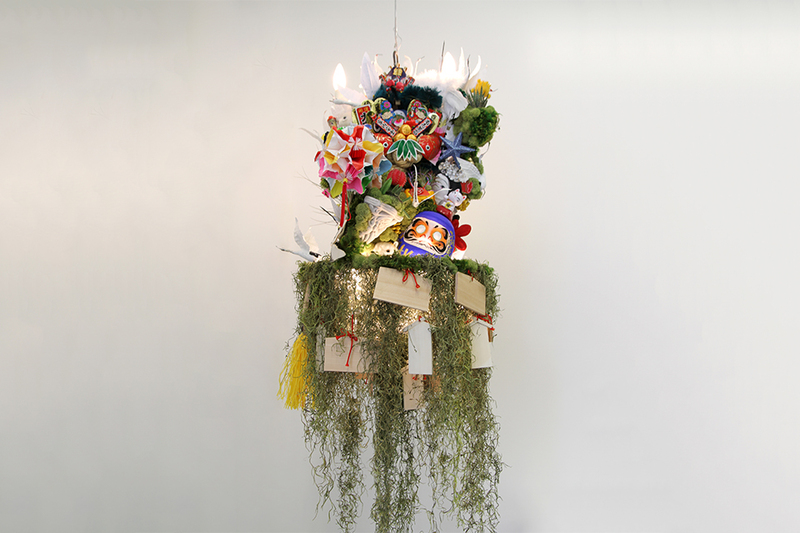 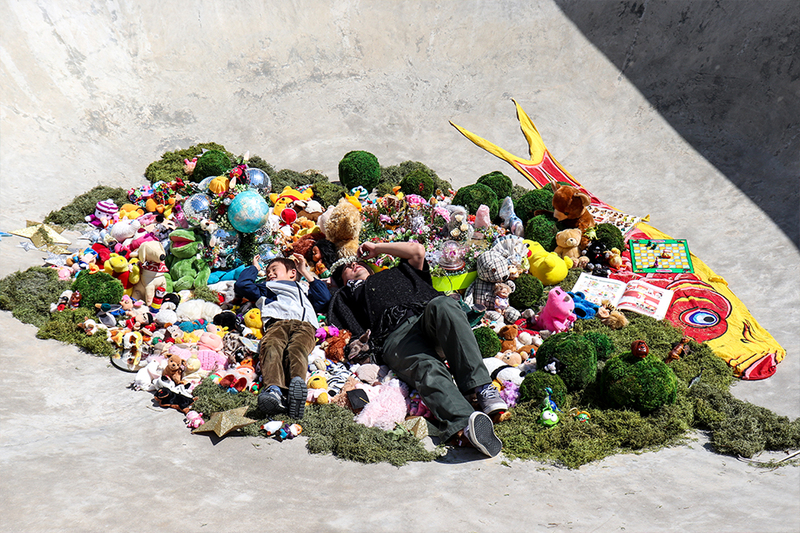 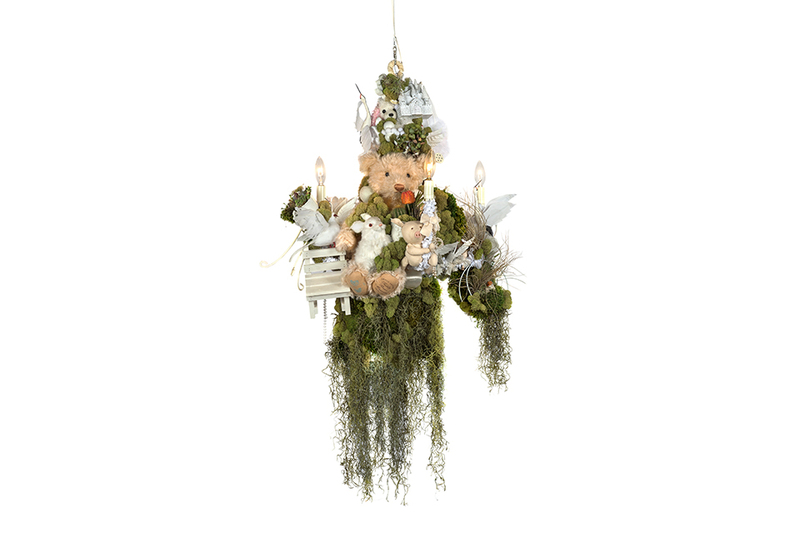 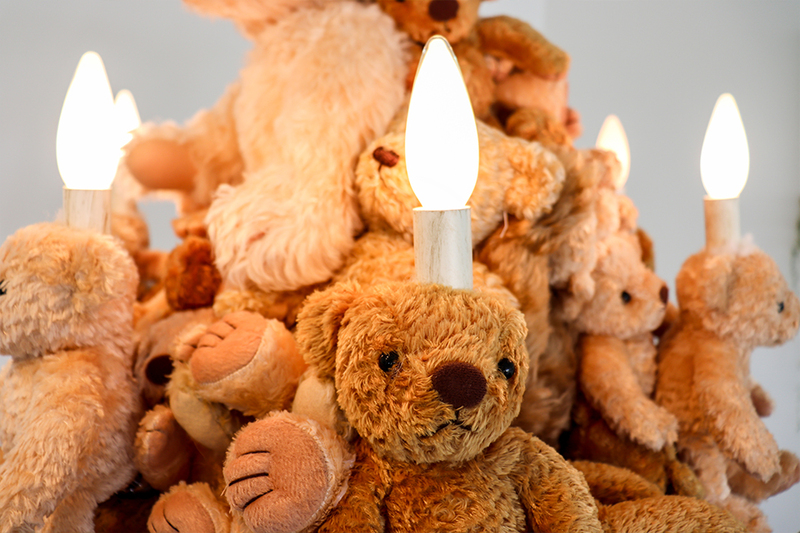 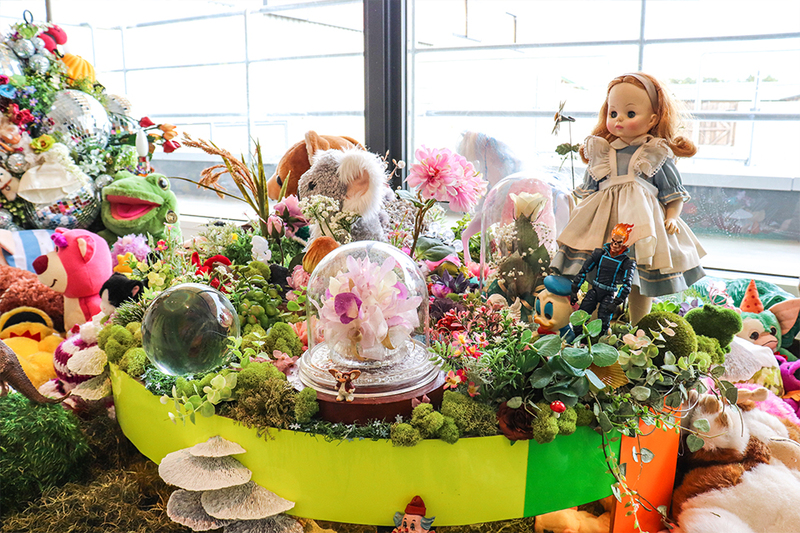 AS KIM BUILT SCENES OF TOYS AND REPURPOSED OBJECT ON CHANDELIERS, TEPPA RESPONDED BY PLACING LIVE AND PRESERVED PLANTS. 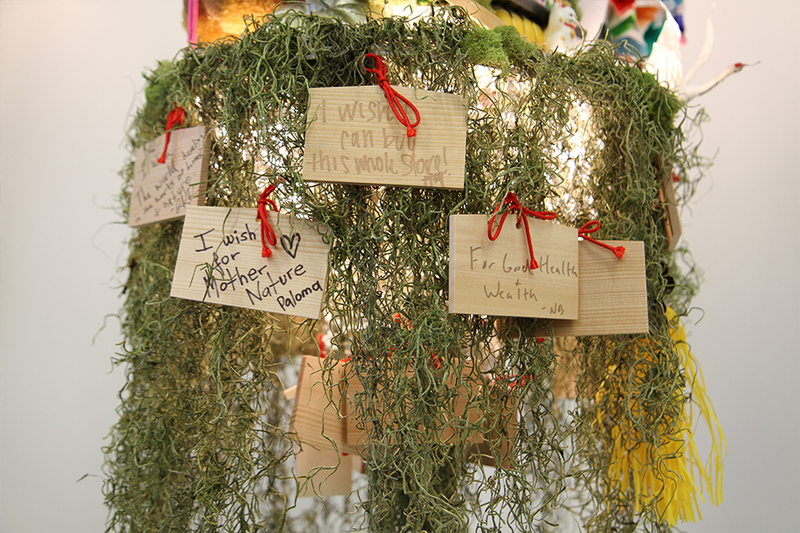 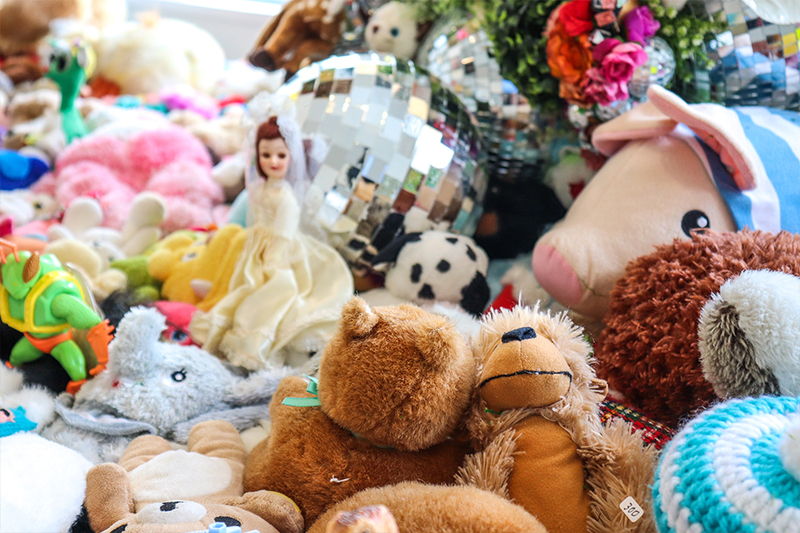 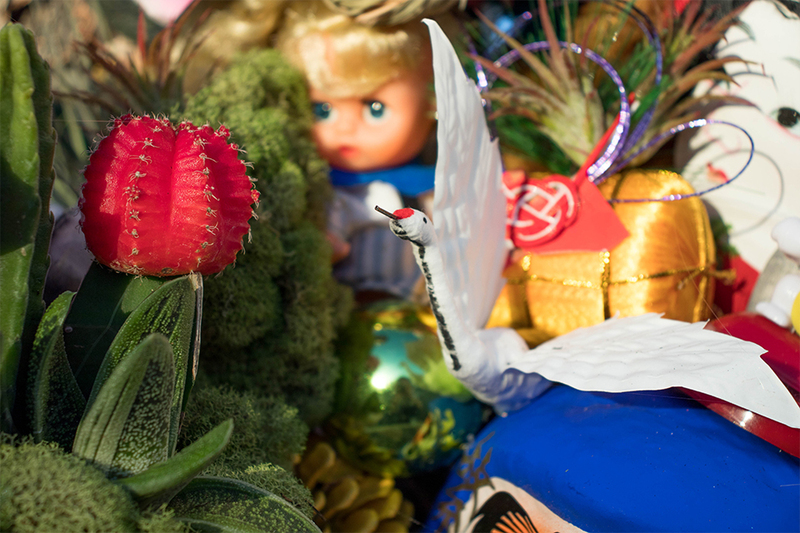 REPURPOSED TOYS, FOUND OBJECTS, PRESERVED MOSS, LIVING AIR PLANTS. 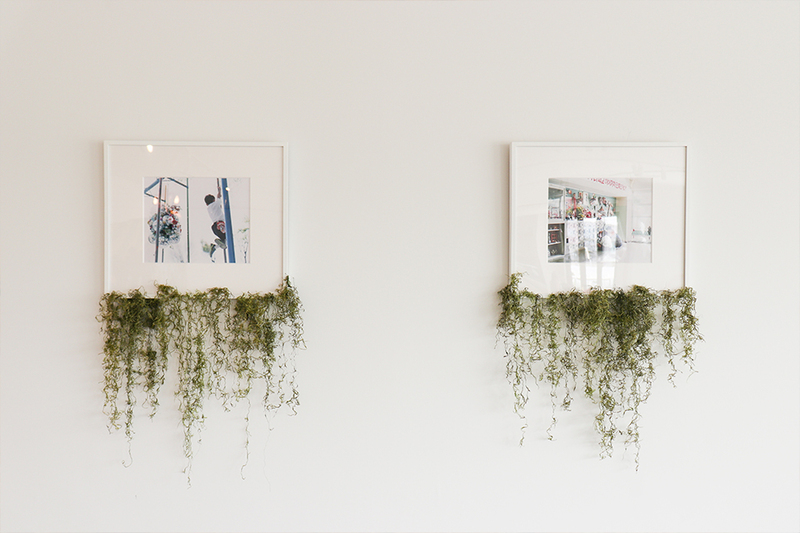 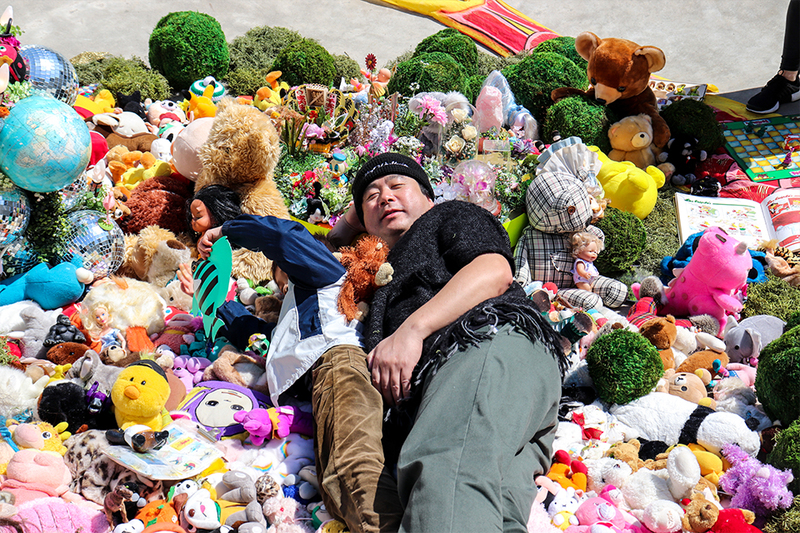 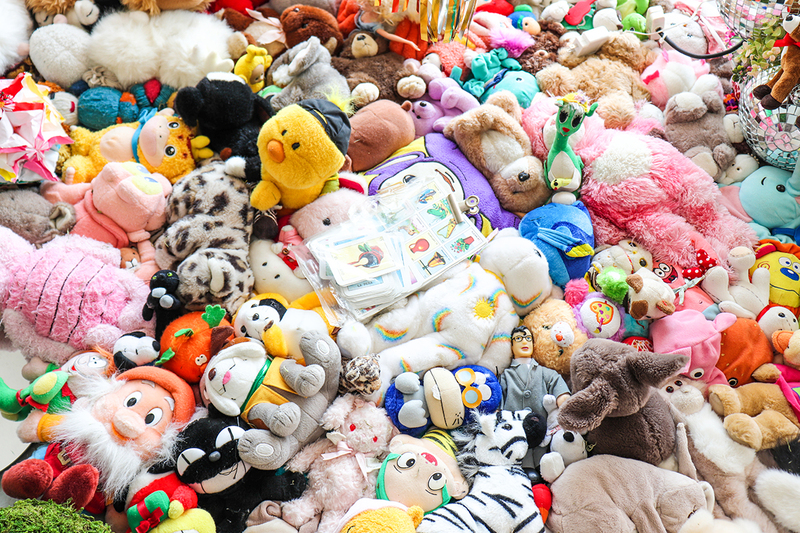 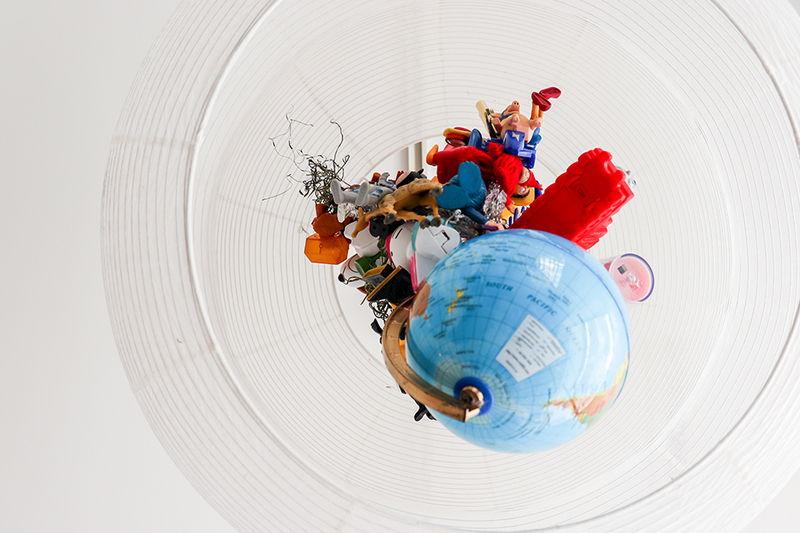 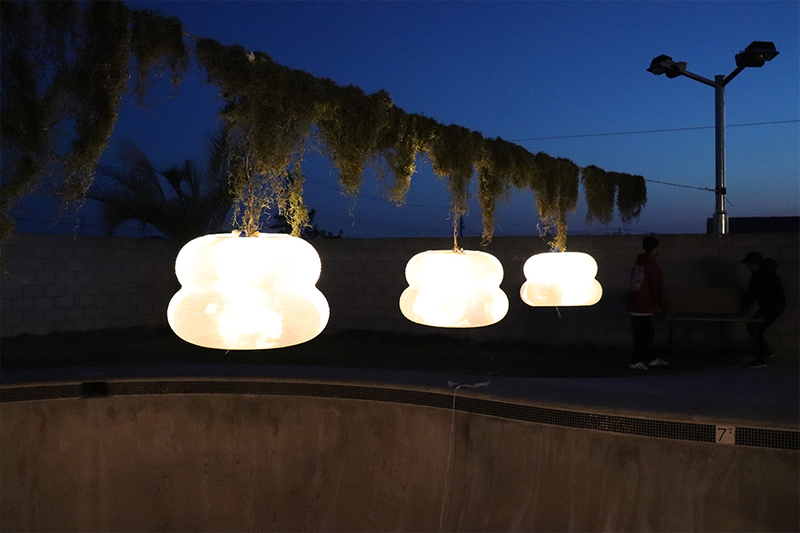 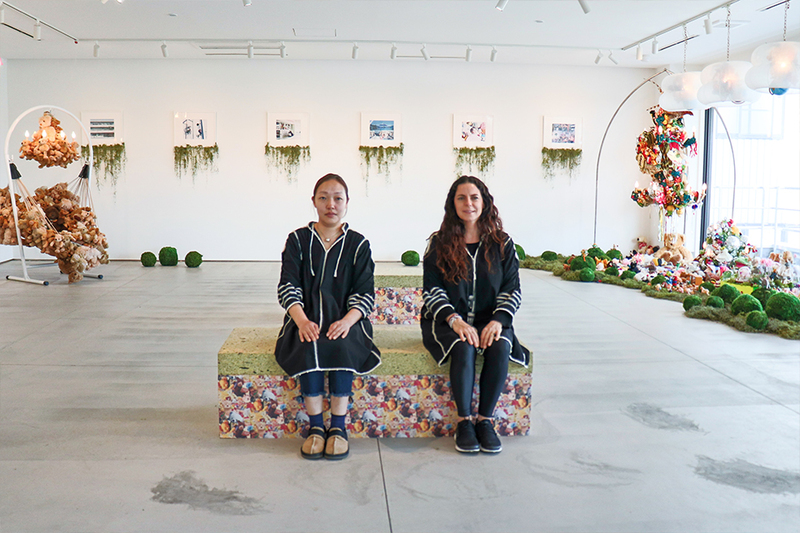 KIM SONGHE AND PALOMA TEPPA COLLABORATED TO INSTALL AN EXHIBITION IN SHIZUOKA JAPAN FEATURING ARTWORKS AND INSTALLATIONS CREATED ON SITE BY THE TWO ARTISTS. 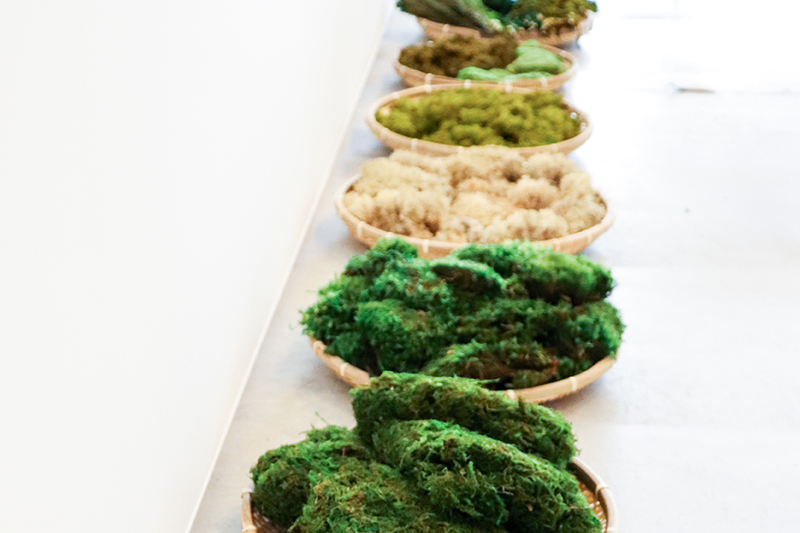 PRODUCING THE EXHIBITION EMBRACED DIFFERENT LANGUAGE, CULTURE AND DISCIPLINES. 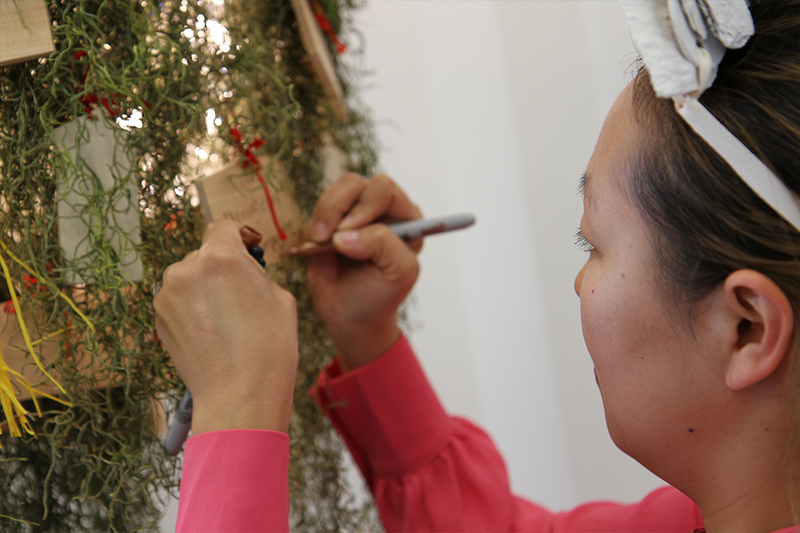 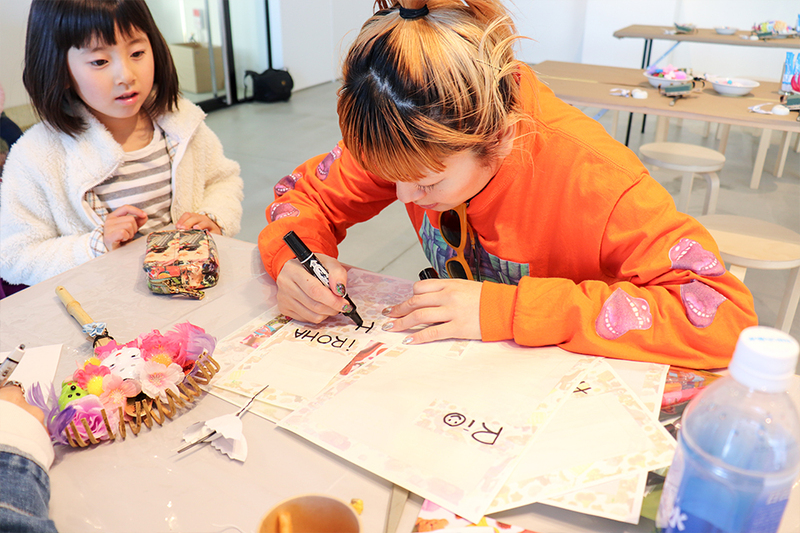 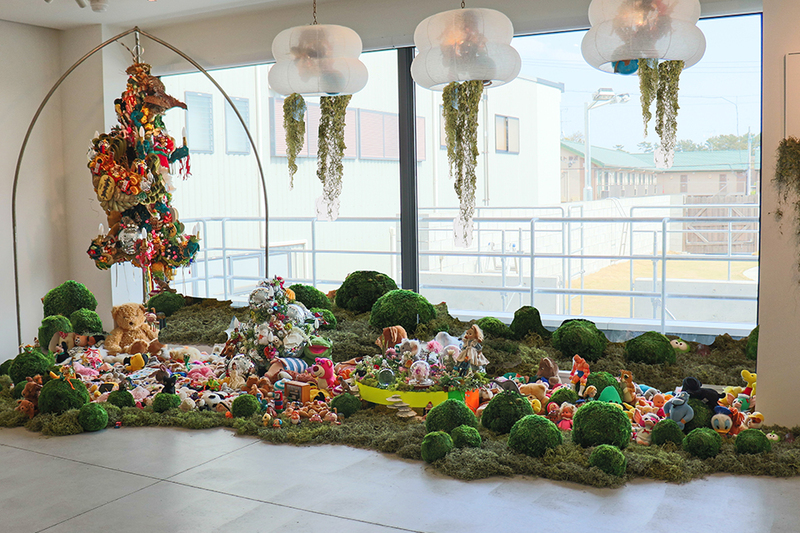 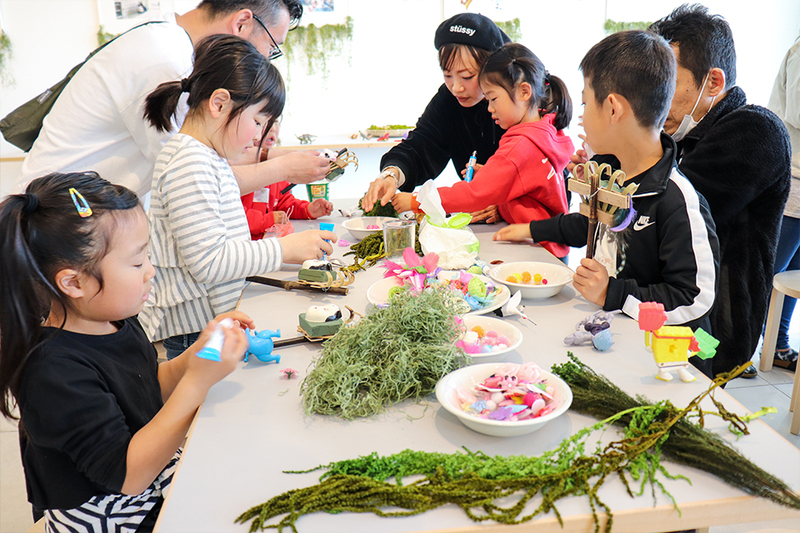 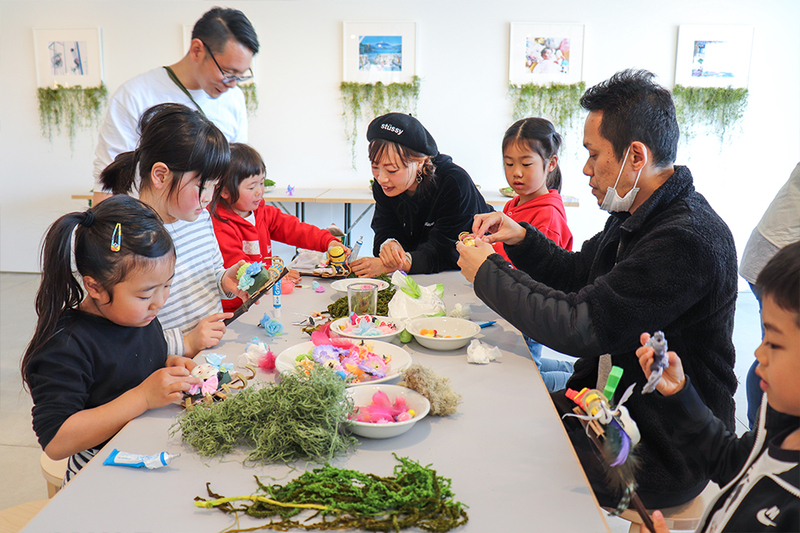 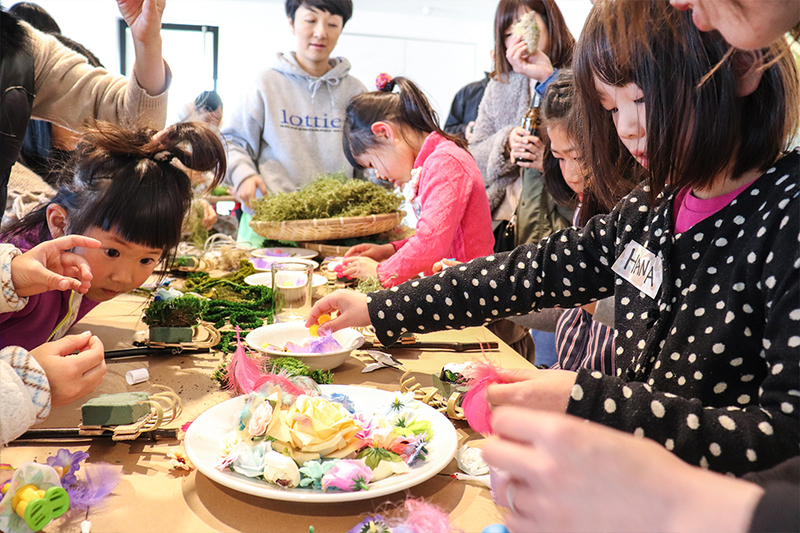 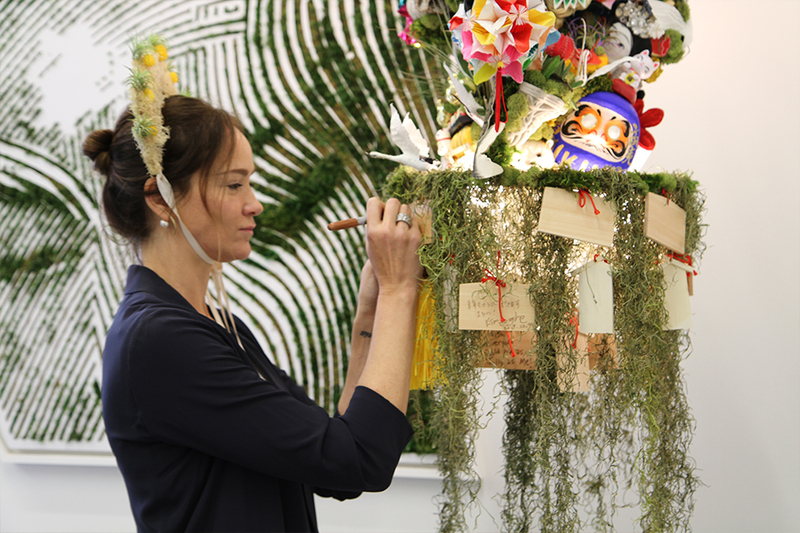 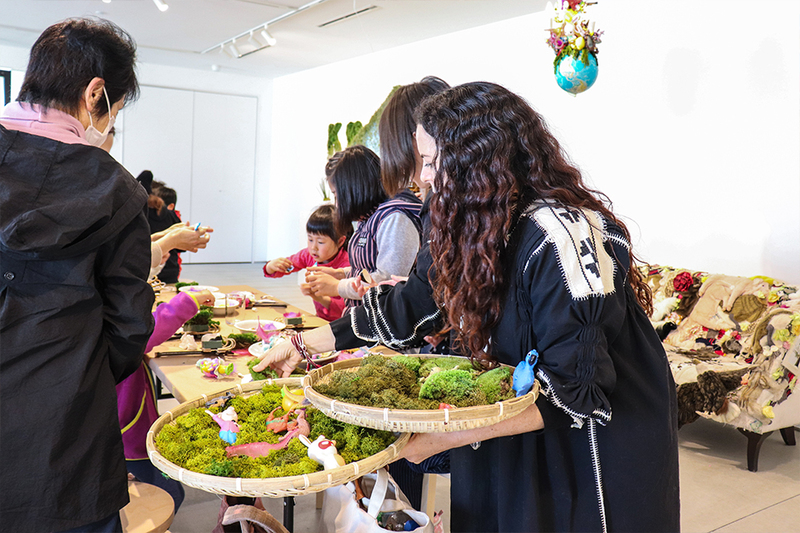 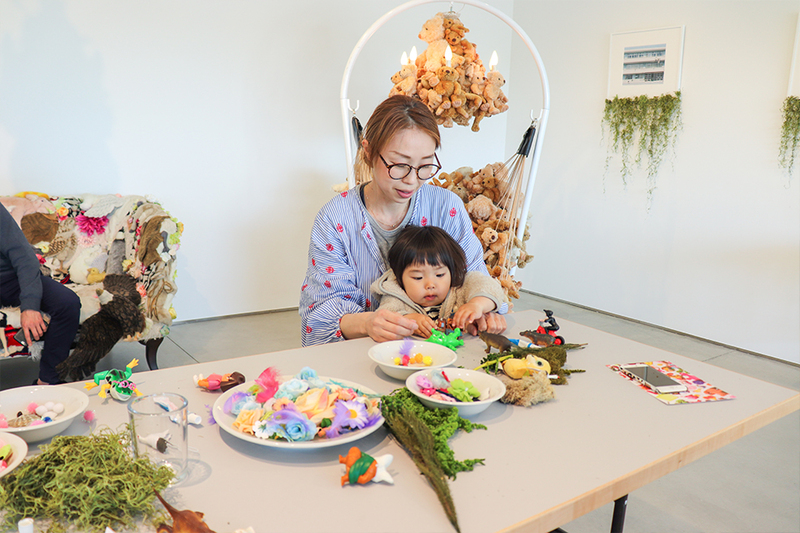 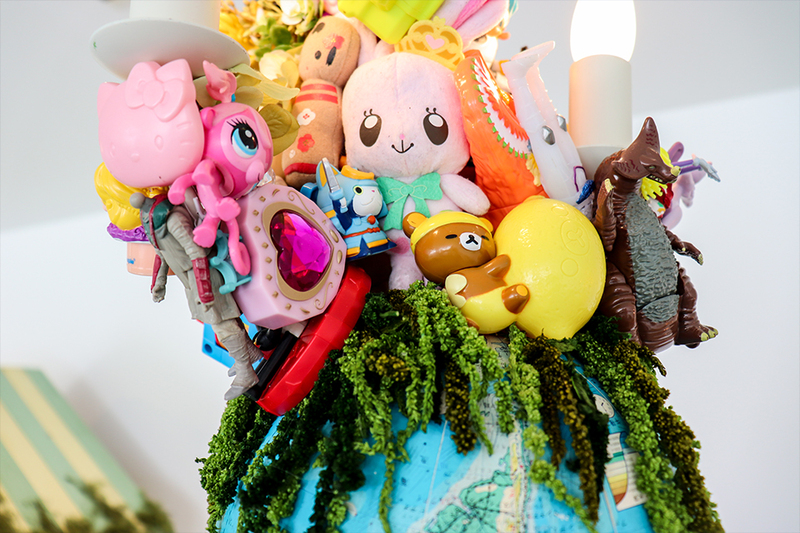 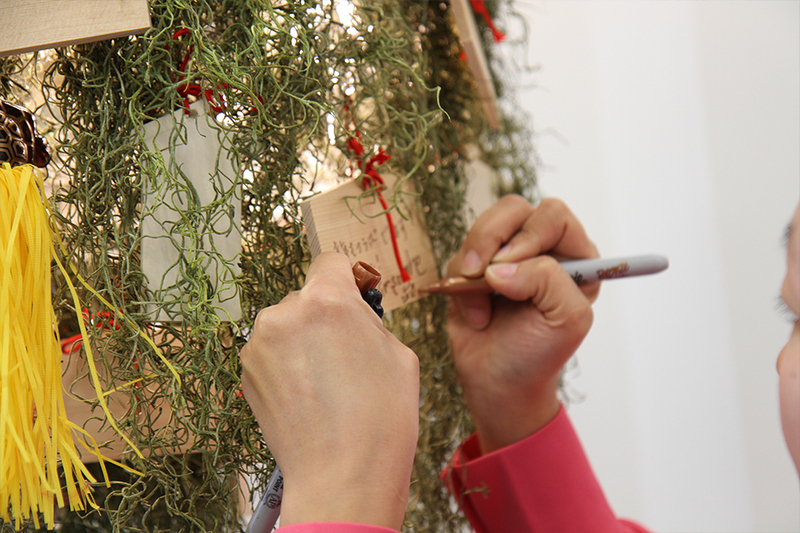 AS PART OF THE OPENING OF MY HEAVEN EXHIBITION, PALOMA TEPPA AND SONGHE KIM INVITED CHILDREN AND FAMILIES TO CREATE KUMADE. 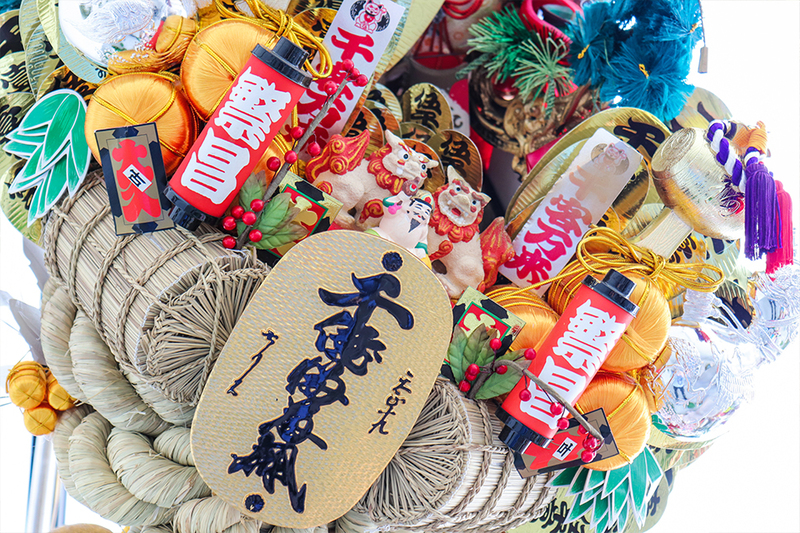 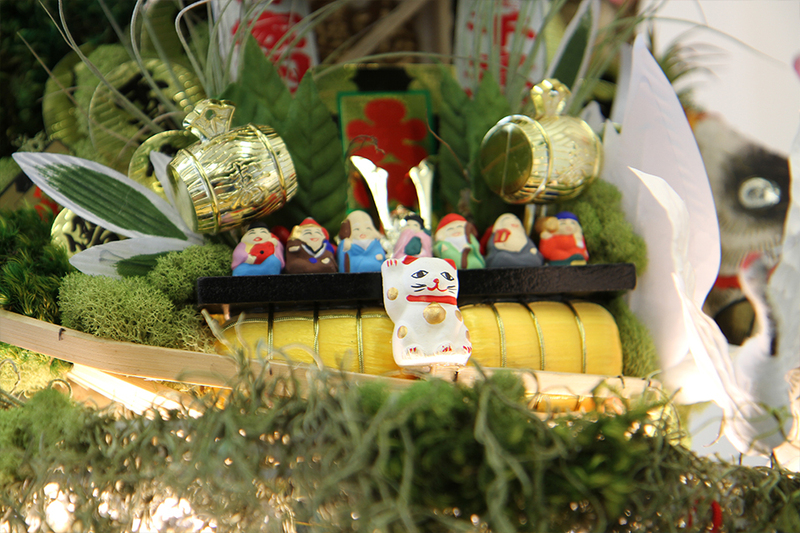 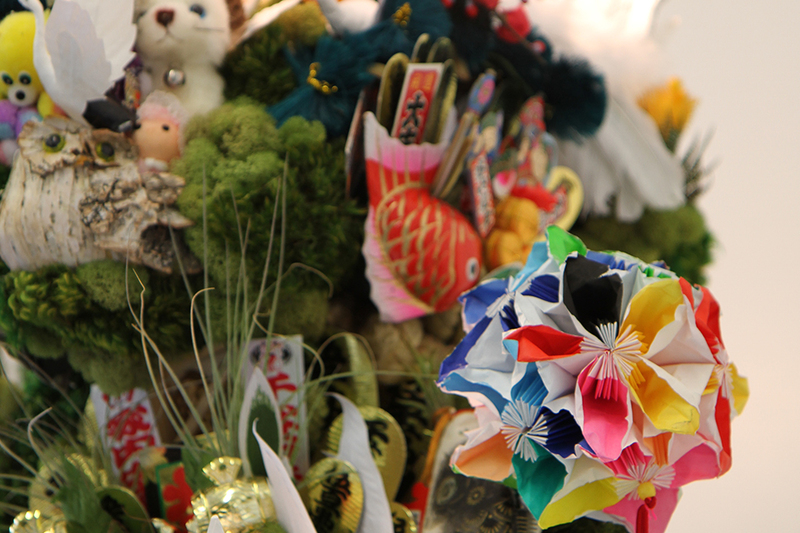 KUMADE ARE BAMBOO RAKES WITH COMPOSITIONS OF LUCKY CHARMS TRADITIONALLY MADE IN JAPAN TO BRING GOOD FORTUNE INTO THE HOME.